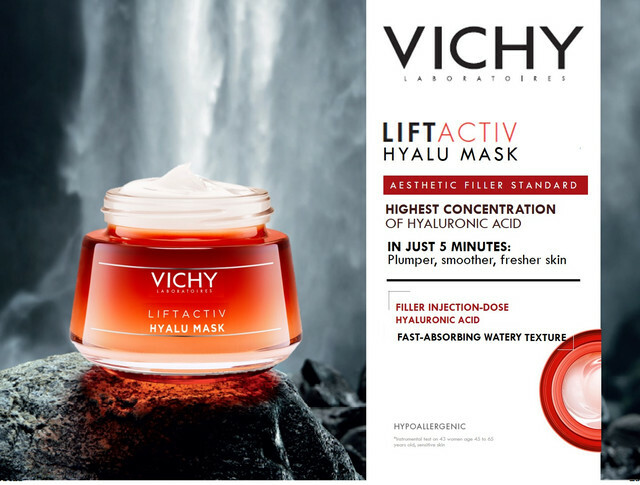 Inspired by the new non-invasove aesthetic procedures, Liftactiv Hyalu mask is the 1st sleeping mask to deliver injection dose of 1% highest concentration Hyaluronic acid to achieve plumper, smoother and fresh skin in just 5 minutes. In just 5 minutes, skin is plumper, smoother and firmer with fresher complexion. Always a lover of sleeping masks, this mask easily tops my list now! It really hydrates my face within minutes and I wake the next day with a bouncier and more radiant looking face. Big thanks to Try And Review Team for this opportunity. Recommended it to friends as well. Received it from the Women's Day Beauty Box. Nice packaging. It sets in pretty fast, leaving your skin feels moisturizing, After 10 days use, skin does feels more moisturized and slightly firmer, but do not see obvious results on lesser wrinkles. Really dislike the hassle having to wipe off excess after 5 mins of applying and also the sticky feeling.